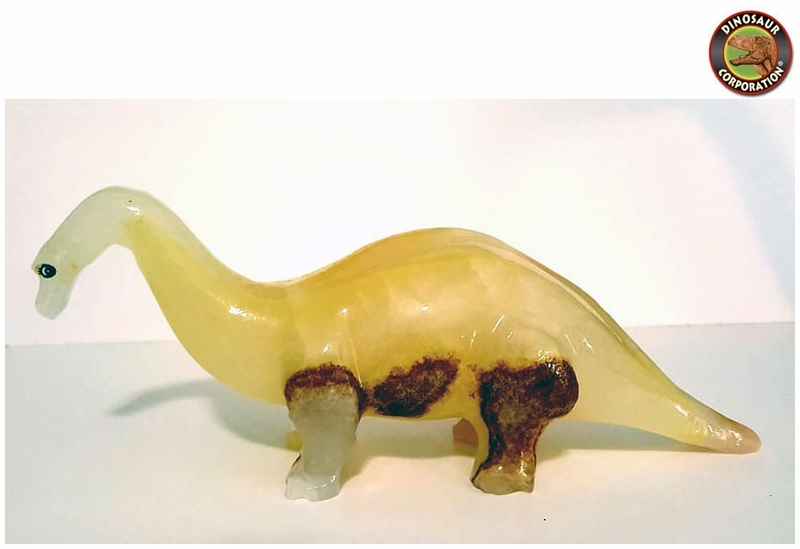 Home | GEMS | Brachiosaurus Gemstone Onyx Figure, 7.5"
Brachiosaurus Gemstone Onyx Figure, 7.5"
Brachiosaurus hand crafted dinosaur figure assists in development of physical strength. Onyx occurs in several colors including black, gray, white, blues, browns, yellows and reds. It is a stone of inner strength, enhancing endurance and persistence. Increase Inner Strength and Willpower with Onyx!